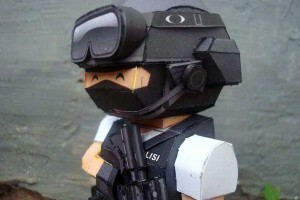 Finally I got the time to release this paper soldier patterns. This paper soldiers is a modified version of densus 88. 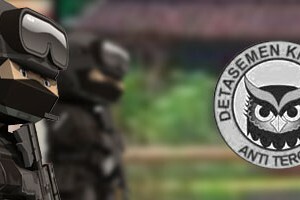 Densus 88 is an abbreviation for Detasemen Khusus 88 or Special Detachment 88. 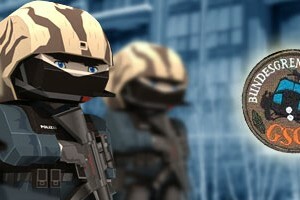 It is a special unit from Indonesian Police Force. It main task is counter terrorism, and intelligence. Occasionally densus officer often seen in casual cloth instead of their uniform. By the look of him, he might be a densus intel. 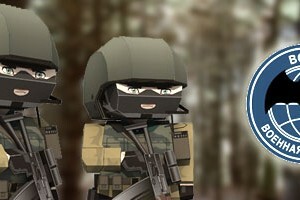 The Spetsnaz GRU is the best trained elite special force in Russian Federation Armed Force. The unit is similar to The Delta Force in US for the close relationship to the intelligence agency. 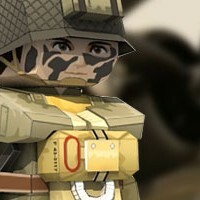 Speaking of Delta Boy, I think next paper soldier will be Delta Force :). A suspected terrorist linked to several Indonesian bombings in the past decade was killed in a protracted firefight Saturday in the Central Java town of Temanggung, two law enforcement sources told CNN. A poster in Malang, East Java, Indonesia, has under "dicari," or"wanted," Noordin Top.